Whether you were there or not, I bet you’ve heard all about SXSW — the conference and festival that brings together the world’s creative minds, entrepreneurs, and go-getters that are defining the future of tech, art, film, and music. This year, much of the conversation revolved around interactive media, brand authenticity, and AI; the scooters were everywhere, the food trucks were first-rate (especially the shawarma truck and the gourmet grilled cheese! ), and the energy was unparalleled. Every year we send a team down to Austin for SXSW to build brand awareness, learn, and cultivate key relationships and partnerships. Four of us went this year, and here are a few of my highlights and key takeaways. The SXSW virtual cinema, an exhibition presented by Bose, is an aspect of the festival that is growing year after year. 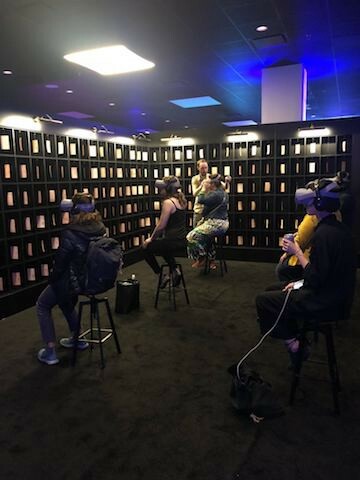 In short, the exhibition gives viewers the opportunity to immerse themselves in the latest VR, AR, and MR storytelling experiences from some of the most creative minds (film-makers and producers) in the world. This year, 27 projects were showcased, all of which highlighted an important narrative around how virtual and interactive storytelling are shaping all industries and the everyday viewing experience. Think about the future home and city density; homes will be more compact, efficient, and connected. 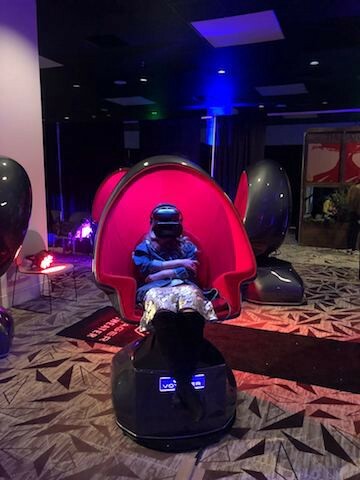 Virtual cinemas and headsets will surely change how we outfit homes of the future, especially when it comes to entertainment and being able to experience a story immersively. Also showcased within the virtual cinema: Bose Frames. Audio and AR-enabled sunglasses are the latest in wearable tech. Instead of solely through sight, these sunglasses also use sound to relay information. Bose speakers and a microphone are built into the frames to deliver ‘an immersive audio experience unlike any other.’ Even more, the shades can interact with Siri and Google Assistant, understand the user’s location, and help them navigate. And hey, they’re available for a cool $199. With a new technology or platform being announced every day, it can be challenging for brands to effectively navigate this changing landscape. 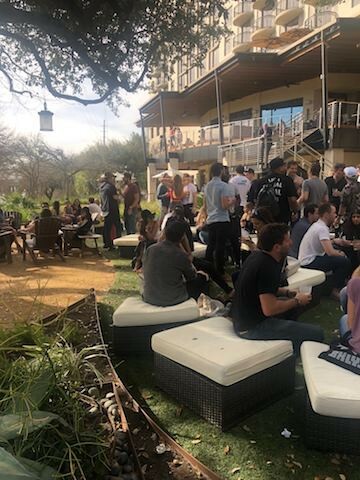 Based on our conversations with clients, we know many are asking themselves if the hype is really worth the hype, and this theme was a huge topic of discussion at SXSW. Our takeaway: brands need to prioritize their digital roadmap (and which tech they invest in) based on what their users want instead of jumping on the bandwagon. Brands, you need to listen to your customers, you know them best. Ask yourself: are your viewers going to be watching on 4K? How will they engage with your content? By focusing on what you can and should do for your audience, and then excel in that area, you will deliver meaningful value to your consumers. This year, there was a big focus on gaming at SXSW. Industry leaders discussed the changes and the growing pains, and how to focus on simply doing better. For example, creators should ultimately prioritize the user experience, and to take it a step further, leverage cognitive science and data to enhance interactions. There was also an engaging (and important) conversation on combating gender stereotypes in gaming and pushing the industry to better reflect its players, 50% of which are female. One phenomenon that particularly stood out to us was the rise of media communities. Never heard of them? Well, whether you know it or not, you’re probably in one. Think of the fanbase and the communities that have emerged through the cult-like watching of Game of Thrones, Westworld, or The Bachelor. Viewers are looking for high-quality content that comes along with a social network that has a shared meaning and points of reference. These media-based networks are growing and are a promising avenue for media organizations and content creators to re-engage and attract mass users — over 16M people watch a single episode of Game of Thrones. If brands can extend their commitment to viewers by introducing new modes of interaction and points of social meaning, they will keep the experience relevant and will win big time. Beyond beauty brands, we saw a massive convergence of street and luxury brands that are garnering mass audience appeal. Supreme, a skateboarding brand, is becoming more luxurious, Gucci is broadening its appeal to younger audiences, A$AP Rocky is the face of Dior and is partnering with Mercedes-Benz. What’s great about these partnerships is that they’re authentic and mutually beneficial and they’re changing how we understand trends and concepts like luxury and fashion. 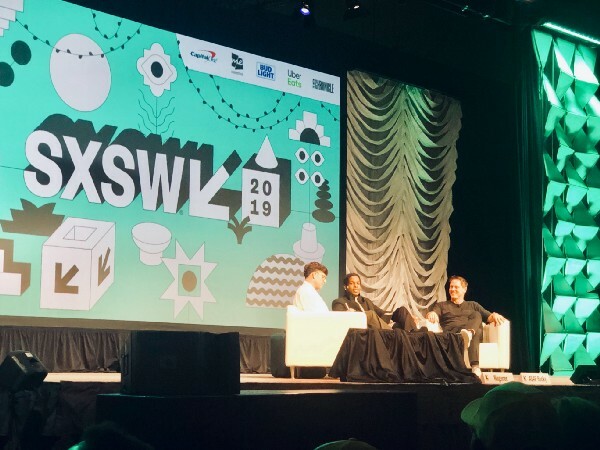 Perhaps the most engaging conversation of SXSW was an interview-based panel, hosted by Josh Rubin, featuring Gorden Wagener (Daimler AG) and A$AP Rocky. They discussed the ultimate primacy of design and how they’re working together to inspire creativity, design, and ingenuity. The conversation resonated with all attendees, whether in automotive, consumer products, fashion, or music, because after all, design is in everything and if brands want to stay relevant, they need mass market appeal. *For more A$AP Rocky check out his now permanent AWGE Bodega pop-up at Selfridges. Finally, SXSW is all about the people you meet and the connections you make. Unlike so many conferences, SXSW is a conference people actually want to go to. No conversation feels forced and nothing feels disingenuous. It’s an opportunity to learn about almost anything, eat amazing food, see your favorite bands, walk (or scooter) around, explore Austin, engage with like-minded people and with your total opposites. The installations are interactive and cutting-edge. There are house-takeovers and sponsored dinners with artists, entrepreneurs, friends, and colleagues. You might find yourself eating BBQ at Stubbs and then suddenly, Kacey Musgraves is rocking it on stage. Maybe, you’re out for drinks and Snoop Dogg shows up for a surprise show. Or simply, you end up walking 12km with a complete stranger to get the best tacos in Austin and you have one of the most engaging conversations of the week. Throughout SXSW, Austin’s pulse is energetic, the vibe is casual, and everyone is excited to be there. We always have a great time and get a lot of innovative ideas at SXSW. We can’t wait to go back next year! 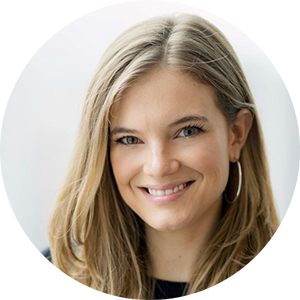 Rachel Wexler is the Director of Marketing at TribalScale. She defines the internal and external marketing strategy and aligns it with TribalScale’s culture, mission, and values. She is immersed in the tech community and is putting TribalScale on the world stage.